Joined the CS Dept. of National Chengchi University on August 1, 2003. C.F. Liao, C.C. Chen, Kung Chen, Toward a Tenant-aware Query Rewiting Engine for Universal Table Schema-Mapping, International Workshop on SaaS (Software-as-a-Service) Architecture and Engineering (SaaS 2012), col-located with IEEE CloudCom 2012, Dec. 2012, Taipei, Taiwan. Kung Chen,T-s. Hsu, W.K Huang, C. J. Liao, D.W. Wang, "Towards a Scripting Language for Secure Multi-Party Computation," First Asia-Pacific Programming Languages and Compilers Worksop (APPLC'12), Bejing, June 14, 2012. Kung Chen, J.Y. Lin, S. C. Weng, and S.C. Khoo. "Design Aspects for Side-effect localization", PEPM 2009. ACM Press. Kung Chen, S. C. Weng, M Wang, S.C. Khoo, and C.H. Chen. "A Compilation Model for Aspect-Oriented Polymorphically Typed Functional Languages", Symposium of Static Analysis (SAS 2007). Kung Chen and Ju-Bing Chen, "Aspect-Based Instrumentation for Locating Memory Leaks in Java Programs", Third Asian Workshop on Aspect-Oriented Software Development, July 2007, to appear in Proc. of the 31st Annual International Computer Software and Applications Conference (IEEE COMPSAC 2007). Kung Chen and Ju-Bing Chen, "On Instrumenting Obfuscated Java Bytecode with Aspects", Software Engineering for Secure Systems (SESS06), held with ICSE 2006, Shanghai, PRC. M. Wang, K. Chen, and S.C. Khoo, "On the Pursuit of Static and Coherent Weaving", Foundations of Aspect-Oriented Languages (FOAL) 2006 , AOSD 2006, March 2006, Bonn, Germany. K. Chen and C.W. Lin, "An Aspect-Oriented Approach to Declarative Access Control for Web Applications," APWeb 2006, LNCS 3841, pp.176~188, Jan. 2006. M. Wang, K. Chen, and S.C. Khoo, "A Type-Directed Weaving of Aspects for Higher-Order Functional Languages," ACM SIGPLAN 2006 Workshop on Partial Evaluation and Program Manipulation (PEPM '06) Charleston, South Carolina, January 9-10, 2006. K. Chen,"Using Dynamic Aspect for Delegating Fine-Grained Access Rights," Asian Workshop on Aspect-Oriented Software Design, held with the Asia-Pacific Software Engineering Conference 2005, Dec. 17, 2005. K. Chen and C.M. Huang, "On Designing Access Control Aspect for Web Applications," AOSD 05 Workshop on Software-engineering Properties of Languages and Aspect Tehchnologies (SPLAT 05), Chicago, March 2005. K. Chen and C.M. Huang, "A Practical Aspect Framework for Enforcing Fine-Grained Access Control in Web Applications," First Information Security Practice and Experience Conference (ISPEC 2005), LNCS 3439, Singapore, April 2005. K. Chen and M. Odersky, "A Type Systems for a Lambda-Calculus with Assignments." Theoretical Aspects of Computer Software 1994, Lecture Notes in Computer Science 789, pp. 347-364. K. Chen, P. Hudak and M. Odersky, "Parametric Type Classes", Proceedins of ACM Conf. on Lisp and Functional Programming, pp. 170-181, 1992. Organizer and PC member of the Asian Workdhop on AOSD. Kung Chen is a Professor in the Department of Computer Science at the National Chengchi University, Taiwan. His research is focused on Aspect-Oriented Software Design, Programming Languages, and the interaction between programming languages and software design. 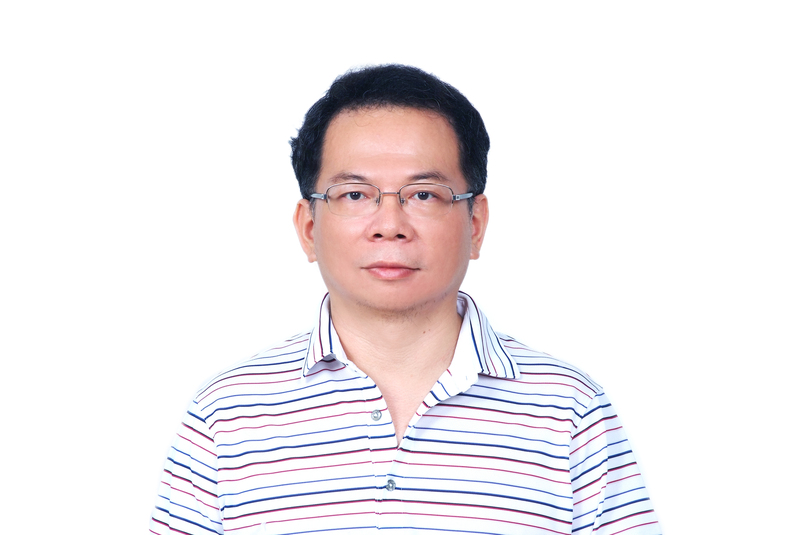 Prior to joining NCCU, Dr. Chen worked in the software industry for a few years, and taught at National Taiwan University of Science and Technology and Tatung University. While in the industry, he was the chief architect for several Web application development tools and frameworks. Recently Kung has finished an aspect-oriented design and implementation of declarative access control for Web applications. With colleagues at National University of Singapore, he is developing a static and coherent aspect weaving system for higher-order functional languages. Kung is a co-organizer of the Asian Workshop on Aspect-Oriented Software Development (AAOSD) and a program committee member of the Fourth Asian Symposium on Programming Languages and Systems (APLAS 2006). He completed his Ph.D. in Computer Science at Yale University in 1994, and his thesis is about a parametric extension of Haskell's type classes.